the Amy Mathers Teen Book Award and for the John Spray Mystery Award. Winners are announced on November 21, 2017. 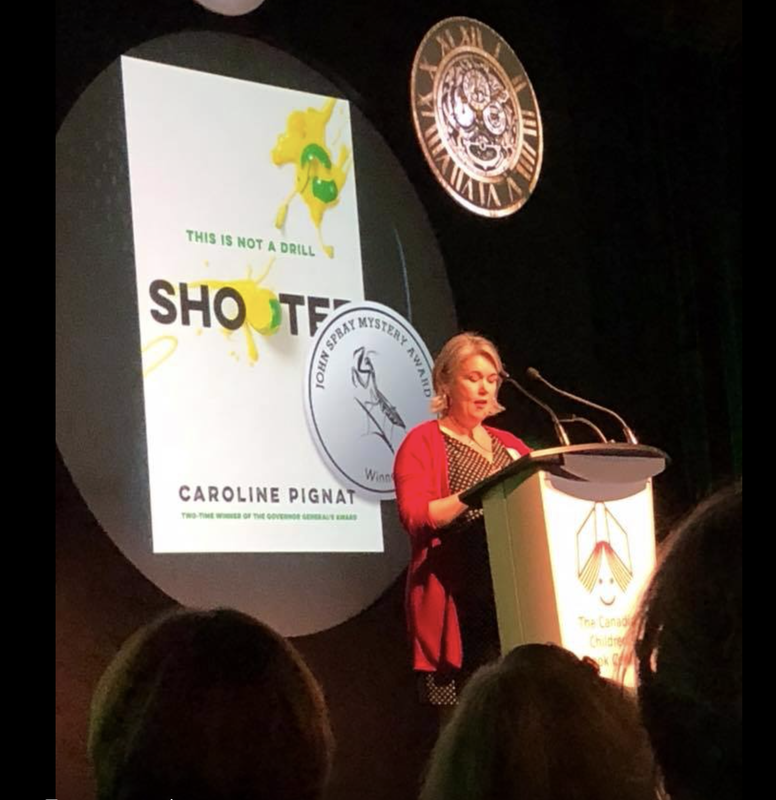 Caroline will be doing a reading and signing in WOTS Lethbridge on Saturday, September 23, 2017. 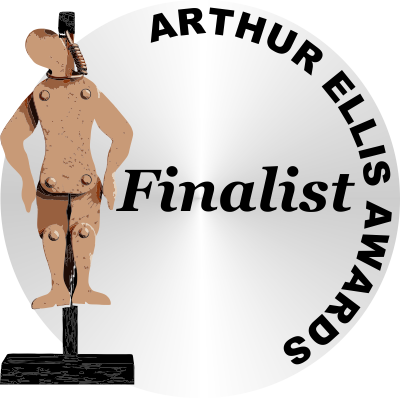 Shooter is a finalist for the 2017 Arthur Ellis Award for Excellence in Canadian Crime Writing. $15.00 for members of CAA $20.00 for non-membersStuck at a threshold? In need of a mentor? Dreading your dragon? Wherever we are in our writing careers, writing takes courage—and lots of it. Asking ourselves the right questions can help us forge ahead and claim that treasure. 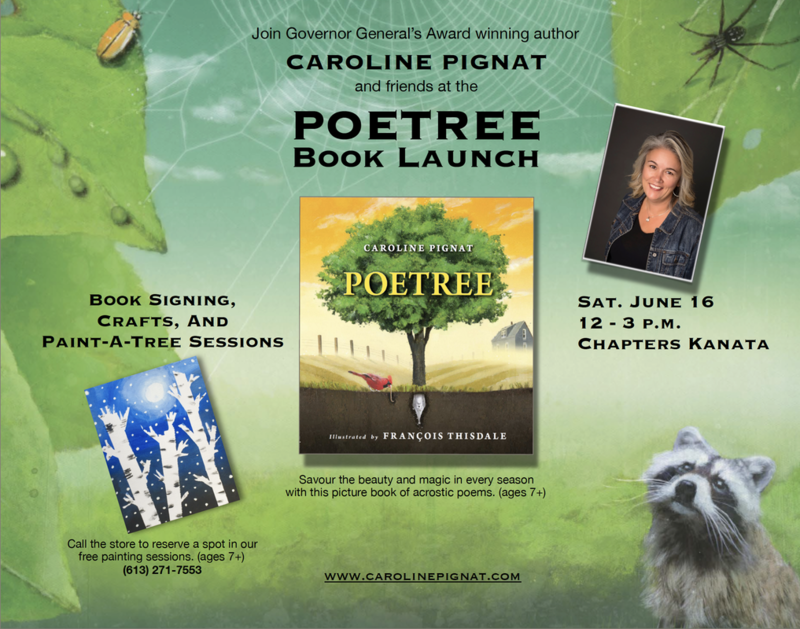 Join two-time Governor General's Award-winner, author and teacher Caroline Pignat as she explores the call, challenges, and adventure of writing. Our voices, our stories, our ends and means may differ, but every Writer’s Journey is truly a Hero’s Journey. To register: Send an email to NCRadmin@canadianauthors.org Registrants may pay by cheque, cash, or e-transfer. 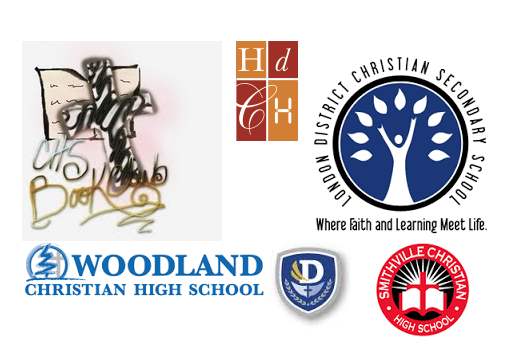 Celebrating National School Library Day with panel of guest speakers at St. Joseph's H.S. ​We writers carry many voices in our heads. How do we tune in? Which do we turn up? And, most importantly, how do we tune out the critic who longs to drown them all? 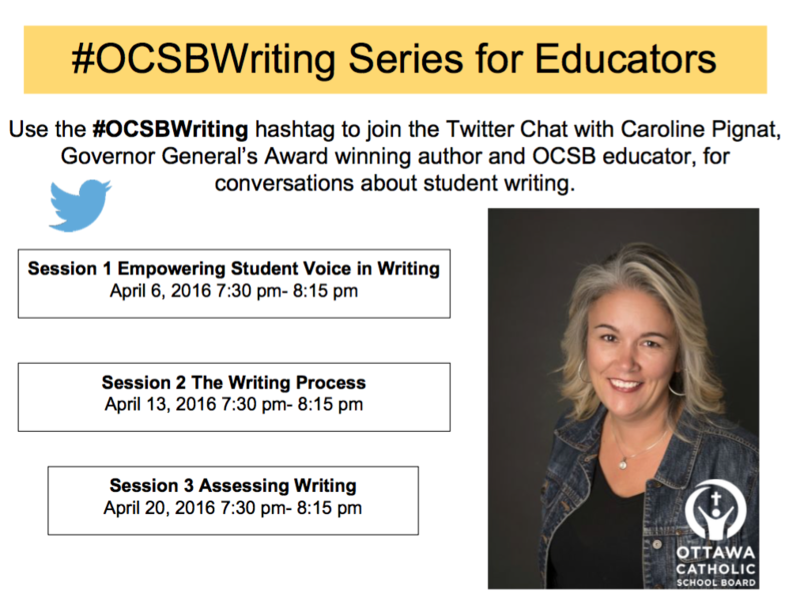 Join Caroline and amplify the power of your authentic voice through form, feeling, and point of view. Bring a work-in-progress or start fresh on something new. YOUNG AT HEART -- STAGE TWO - 4:00 - 5:00​ Toronto's Angela Misri talks to Governor General Award winner, Caroline Pignat, Monique Polak and Charles de LInt. 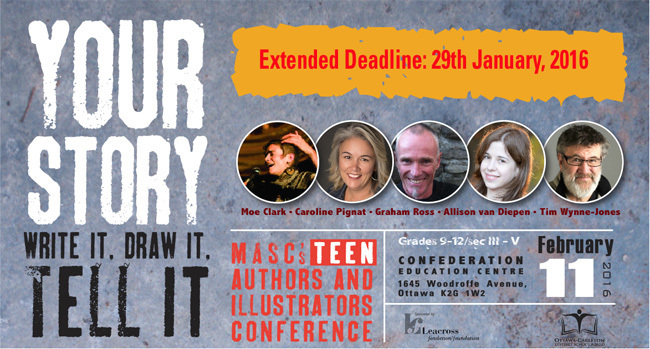 Join Caroline and award winning authors and illustrators for a MASC conference specifically for Ottawa-area teen writers and illustrators. Registration deadline: January 29, 2016. ​Visit MASC's site for more info. 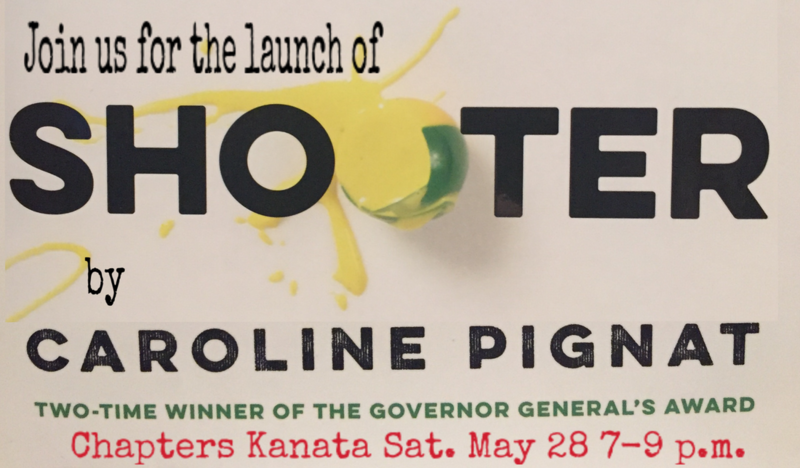 "The Ottawa Public Library is once again launching the Awesome Authors Youth Writing Contest to give young writers the chance to win awesome prizes and get published in the bilingual anthology, Pot-pourri. This is a great opportunity for students between the ages of 9 and 17, who love to write poems or short stories, to share their talent with the world. 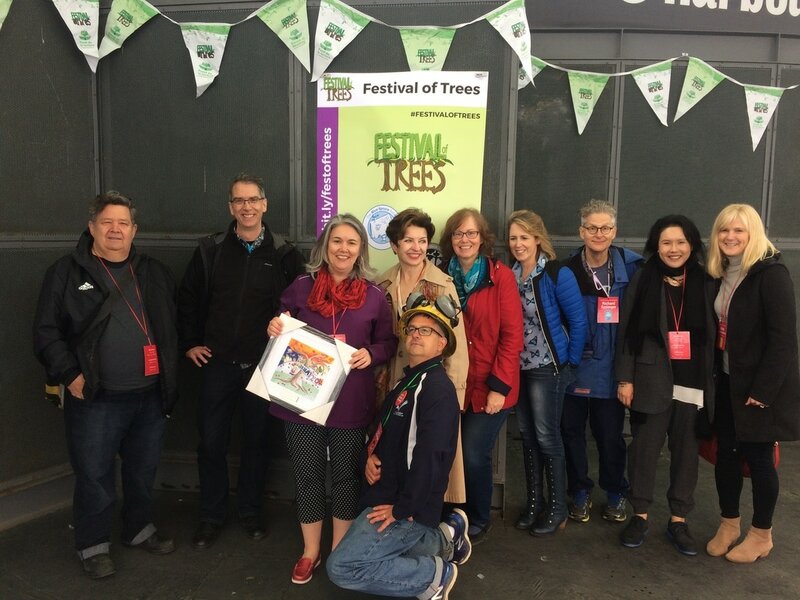 Contest judges will offer writing workshops inEnglish and French, starting January 22, 2016. Students can register online now." A returning Judge, Caroline will be offering a free writing workshop and will be the Judge for Short Stories ages 13-17. 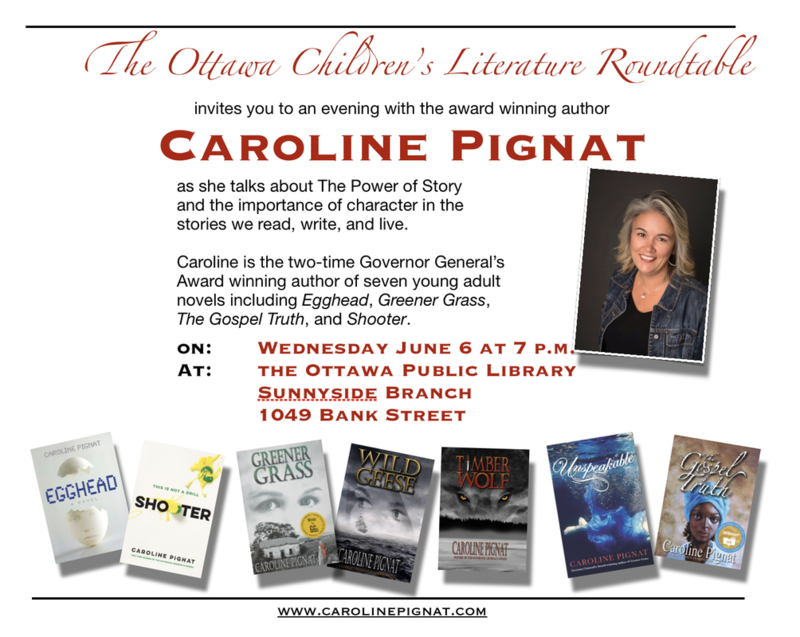 Check the Ottawa Public Library site for more information. Click here to watch. It starts around the 30 minute mark. 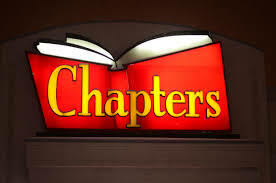 Get your signed copies of Caroline's books at Chapters Kanata Centrum on Friday, November 13 from 6-9 p.m. Selected by the Ontario Library Association as one of five nominees, The Gospel Truth is up for the Red Maple Award. Students in libraries and schools around Ontario will read the books over the year and vote for the winner in May 2016. In this year's CCBC awards both Unspeakable and The Gospel Truth are up for the Geoffrey Bilson Award for Historical Fiction and The Gospel Truth is also up for the Amy Mather's Teen Book Award. Winners will be announced at the TD Book Awards Gala in Toronto on November 18, 2015. 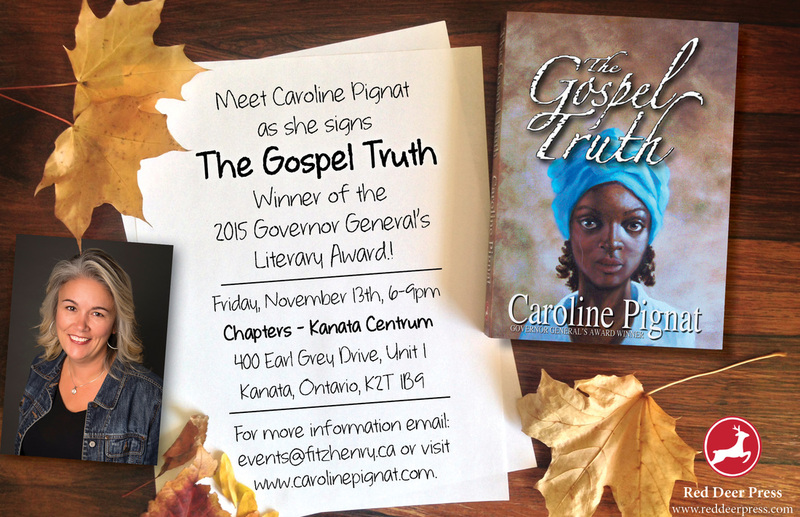 The Gospel Truth is shortlisted for the 2015 Ottawa Book Award. Caroline will be the judge for the Awesome Authors Contest for kids ages 9-12 and 13-17. 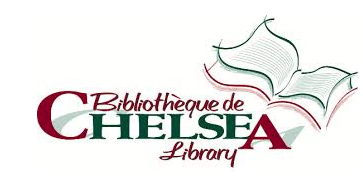 Free workshops will be provided at the Library. Check with your local branch for details. Les amoureux de l'Empress is now available in paperback and eBook. ​July 2015, Caroline signed with Pearson Canada as part of their team of writers working on the upcoming religious education series Growing in Faith, Growing in Christ, in collaboration with the Catholic Bishops of Ontario, Saskatchewan, Alberta, and the Northwest Territories.